And thus it goes. It’s called practice because it takes a LOT of practice. Meditating is my Yogic Waterloo. It probably IS the most important aspect of a yoga practice, and it’s the one with which I struggle the most, while knowing it’s also the greatest gift I can give myself. It’s also the greatest gift you can give yourself. So, go sit down for five minute, or thirty, and just breathe, and see what happens. I am not alone then. Meditation is hard for me until a yoga teacher friend pointed out I get mine in other ways. Cycling down a country road, snowshoeing through virgin forest – you also find yourself in a non-thinking, just absorbing state. I do find some time for the more usual – cushion, low lights, no noise meditation but not on a regular schedule, I just take that when the time is right and don’t worry about it. It’s true! You can find meditation in moving activities, too. One of the reasons I love hiking and snowshoeing so much is that just like Yoga, it’s an activity that can stop my brain. One must be present in those activities, or risk injury. 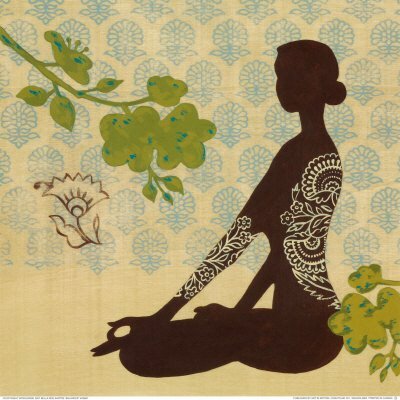 Moving meditation … it’s pretty much what we strive for in Asana practice.